Supreme Court of Ohio - 3-5-2019 - Case No. 2017-1375 In re Application of 6011 Greenwich Windpark, L.L.C. 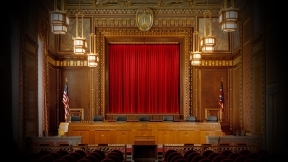 Supreme Court of Ohio - 2-20-2019 - Case No. 2018-0379 In re Application of Ohio Edison Co.
Supreme Court of Ohio - 2-20-2019 - Case No. 2018-0125 Gembarski v. PartsSource, Inc.
Supreme Court of Ohio - 2-19-2019 - Case No. 2018-0184 Paul Cheatham IRA v. Huntington Natl. Bank.